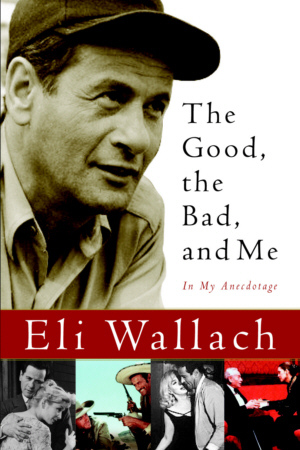 The sparkling memoir of a movie icon’s life in the footlights and on camera, THE GOOD, THE BAD, AND ME tells the extraordinary story of Eli Wallach’s many years dedicated to his craft. Beginning with his early days in Brooklyn and his college years in Texas, where he dreamed of becoming an actor, this book follows his career as one of the earliest members of the famed Actors Studio and as a Tony Award winner for his work on Broadway. Wallach has worked with such stars as Marlon Brando, Paul Newman, Marilyn Monroe, Gregory Peck, and Henry Fonda, and his many movies include The Magnificent Seven, How the West Was Won, the iconic The Good, the Bad and the Ugly, and, most recently, Mystic River. For more than fifty years Eli Wallach has held a special place in film and theater, and in a tale rich with anecdotes, wit, and remarkable insight he recounts his magical life in a world unlike any other. Born in Brooklyn in 1915, Eli Wallach remains active in film and is still married to his wife of fifty-six years. He lives in New York City.